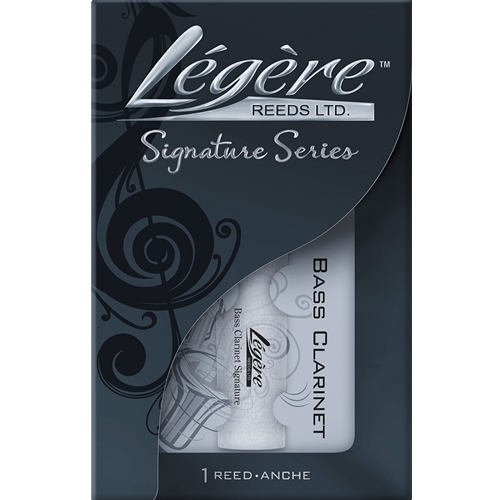 Legere Signature Bass Clarinet Reed #3.25 The Signature Series for clarinet reeds are perfectly centred. They produce a warm, rich tone in all registers of the instrument. They are cut thinner and are stiffer than natural cane generating a clear, focused sound requiring minimum effort from the player. The Signature Series’ flexibility produces a wide range of colourful overtones. Their free blowing nature and ease of articulation is ideal for players in all genres.